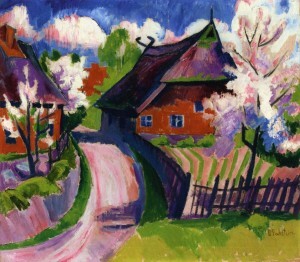 German Expressionism embodies a variety of styles. Some more figurative than others. 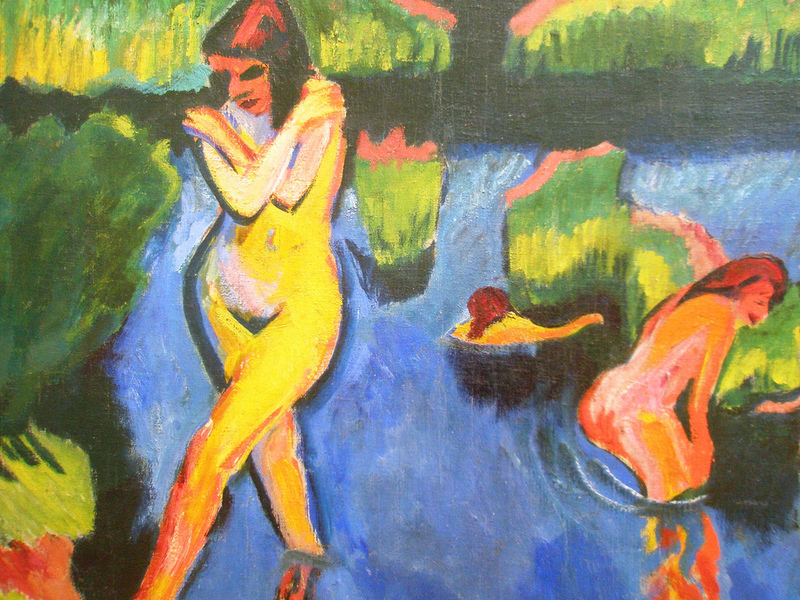 Where Ernst Ludwig Kirchner and Max Pechstein belong on one end of the spectrum; Emil Nolde and Hubert Roestenburg clearly belong on the other end. 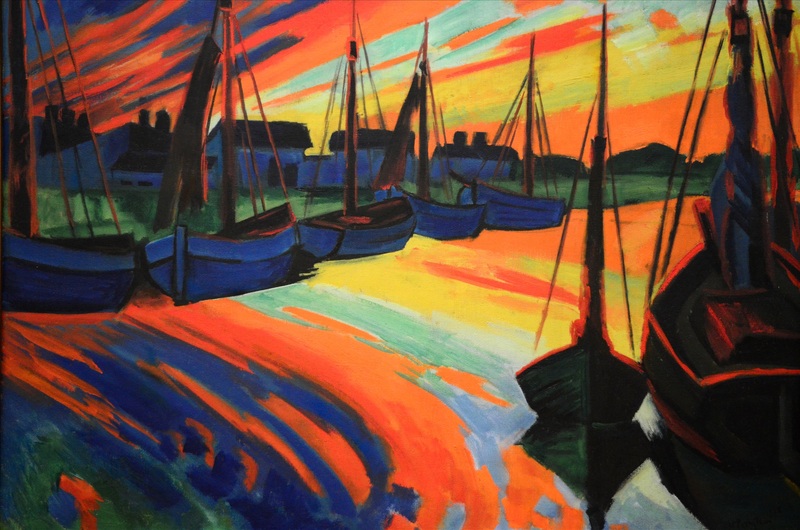 What all German Expressionist painters have in common is the way they express their emotions. It drives the way they paint. Vincent van Gogh can therefore be considered the fore bearer of what later became known as German Expressionism. 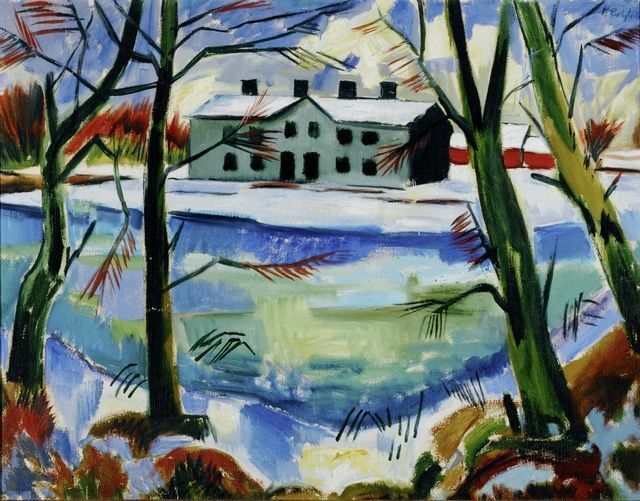 Max Pechstein was a member of Die Brücke (The Bridge), one of the two most important art movements within German Expressionism. 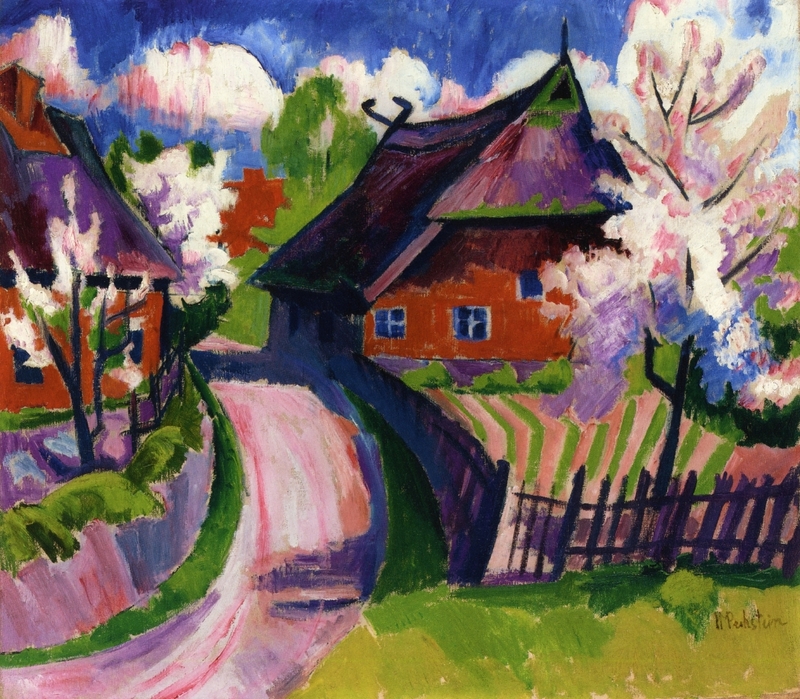 Of all the German Expressionist painters of his day, he had the most art training, both as a painter and a decorator. 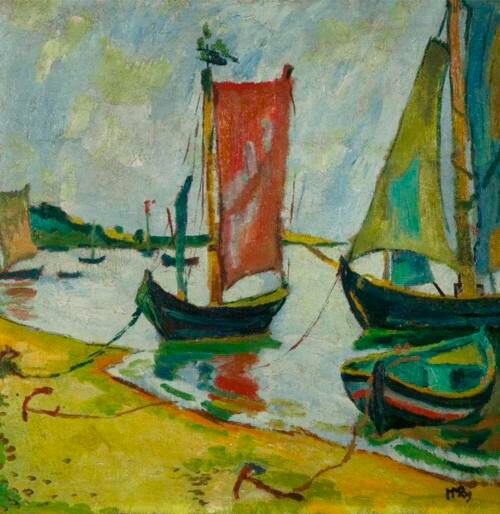 Max Pechstein was born in 1881 in Zwickau. His father worked at a textile mill as a craftsman. He first studied at the School of Applied Arts, after that at the the Royal Art Academy, both in Dresden. 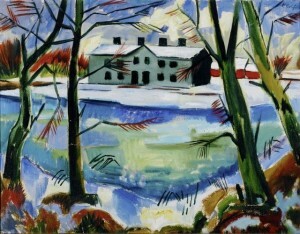 It’s also where he met Erich Heckel and where he joined the art group Die Brücke (The Bridge). 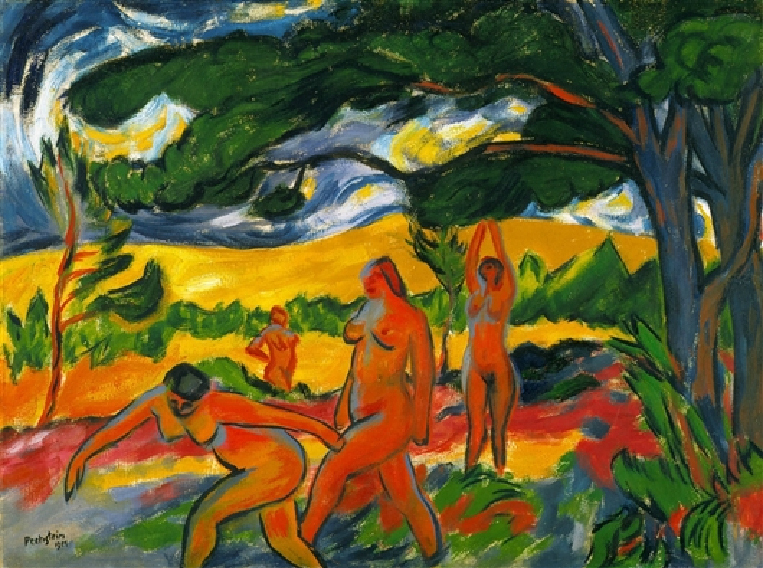 In Berlin Max Pechstein was instrumental in the founding of another art group, named: Neue Sezession. Later in life he became a professor at the Berlin Academy. His biggest influences were Vincent van Gogh, Matisse and the Fauves. Because of Pechstein’s success he became an early target for the Nazis. Sixteen of his paintings were included in the infamous exhibition of Entartete Kunst (Degenerate Art) in 1937. Hundreds of his paintings were forcefully removed from German museums. As a result of being vilified by the Nazis, he withdrew from public life to live in rural Pomerania.